Three presidential candidates promise to reform the National Council of Private Higher Education (Conesup) in case they win the elections when Costa Ricans go to the polls on Sunday, February 4, 2018. 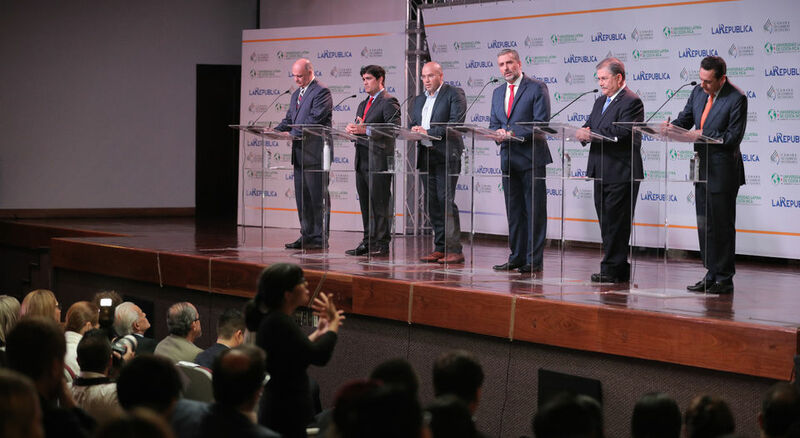 That measure was repeatedly mentioned on Wednesday night, in a debate of six aspirants candidates held in the auditorium of the Universidad Latina, discussing their proposals on education to improve the country’s competitiveness. The first to propose changes was the perennial presidential candidate, Otto Guevara, of the Movimiento Libertario (ML), who offers to modify the structure of the institution to facilitate the creation of careers that respond to the labor demand. “State universities are like dinosaurs because they do not know how to adapt and make life impossible for private universities that want to train young people in high demand careers,” Guevara said. Antonio Alvarez, the presidential candidate of the Partido Liberación Nacional (PLN), also announced his interest in reducing the Council’s bureaucracy, with the aim of removing obstacles and making regulations flexible to change the curricula. “(…) Absurdities like authorizing the use of a book with a new version only if Conesup authorizes it,” Alvarez complained. The Frente Amplio (FA) candidate Edgardo Araya said he would also intervene the Council, to have a more strict control of the education centers that it regulates. “Of course we are going to improve the Conesup, but not so as to have more private universities that are ripping people off. We must have tools to regulate tuition fees and permanently regulate private education,” Araya said. For their part, Carlos Alvarado of the Partido Acción Ciudadana (PAC), and Rodolfo Piza of the Partido Unidad Social Cristiana (PUSC), agreed that the priority of their administrations would be to improve the destination of resources to combat school dropout and to develop skills in students, while Juan Diego Castro, of the Partido Integración Nacional (PIN), referred to the need to improve the training of teachers. In Castro’s opinion, the current educational model promotes “schooling, not education”. 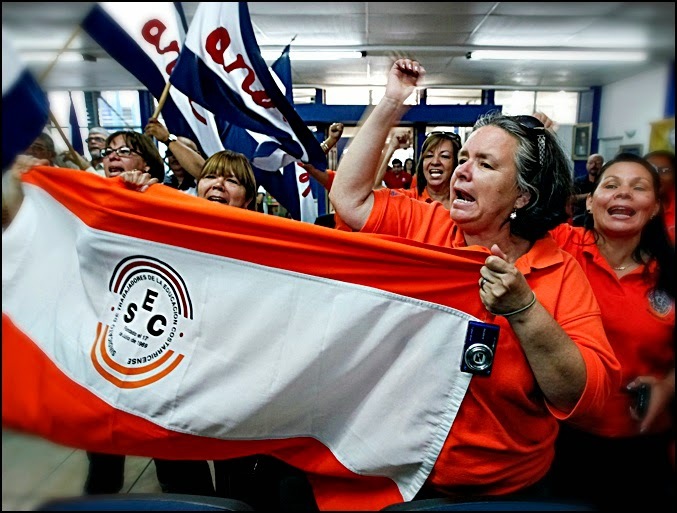 The rest of the debate was political rhetoric, from reducing worker contributions to the Caja Costarricense de Seguro Social (CCSS), which Guevara feels is to high, to proposals on reducing informal employment, which according to the Organization for Economic Co-operation and Development (OECD) should be a priority for the country. The PAC candidate said that his government would strengthen the role of labor inspectors, which, in his opinion, are the main ally to combatting informality. PLN’s Alvarez proposed the idea of encouraging companies to pay worker salaries electronically so that companies are forced to register formally. “I propose something more novel, that is to go to a Costa Rica without physical notes and to a digitalized economy, to have the traceability of all the movements that are made in the country,” said the candidate. Meanwhile, Castro said that the key to fighting informality lies in the opening of monopolies and oligopolies, and proposed the creation of a Ministry of Development and Production. “We must promote free competition and freedom of enterprise, in free competition lies the secret,” Castro said. Previous articleIs the Impact of Violence in Mexico Similar to War Zones?